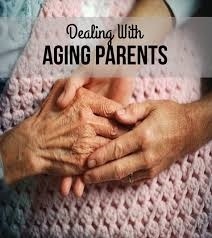 Many of us are facing the challenges of caring for a parent. This can be somewhat daunting particularly if we are still meeting the needs of our immediate family. It can also be challenging if the person who needs care is having difficulty facing some of the changes they are experiencing. Often, a parent doesn’t want to discuss some of the issues that are necessary for their care. If these issues are addressed early, it can help ease the transition. Estate planning: Do they have all the necessary document (e.g. wills, trusts)? Expectations: What do you expect from your parents and what do they expect from you? As you collect this information, you may notice some gaps. Your legal advisor can help you plan for your parents’ incapacity by preparing powers of attorney, medical directives and living wills. Having the medical and insurance information available can help in an emergency situation or if your parent has trouble keeping track of that information. It is also a good idea to develop a relationship with a parent’s advisor and to understand their financial situation. Making sure that your parents won’t outlive their money is a critical step in ensuring that your own finances will remain sound. In particular, you’ll need to make sure that your parent is receiving all the benefits to which he or she is entitled and that his or her money is invested wisely. You’ll also need to create a financial profile for your parents, a statement that includes income, expenses, and net worth. If after considering your parent’s financial condition, it is clear that they won’t have enough resources to pay for their own care, you’ll need to find ways to supplement their income. You may need to look at Supplemental Security Income (SSI), for instance, or ask other relatives for help. You’ll also have to determine how much financial support you can give your parents. If your parent are like many older individuals, where they live will depend upon how healthy they are. As your parents grow older, their health may deteriorate so much that they can no longer live on their own. At this point, you may need to find them in-home health-care or health care within a retirement community or nursing home. On the other hand, you may want them to move in with you. In addition, you will need information on managing the cost of health care, long-term care insurance, major medical insurance, Medicare and Medicaid. When you are caring for your aging parents, you may feel guilty or even resentful because you don’t have limitless energy. Taking care of your parents is hard work. Be sure to utilize the resources available to you and ask for help when you need it.